One of the early and founding families of Laredo is that of Juan Bautista Sanchez and Juana Maria Diaz. 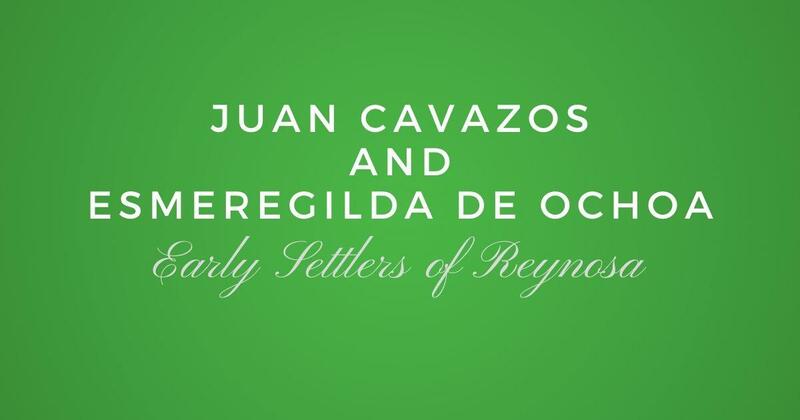 They are listed in the 1757 census of Laredo as follows: Don Juan Bautista Sanchez, casado con Dona Juana Diaz, diez hijos, todas armas y dos caballos. Heres is the English translation: Mr. Juan Bautista Sanchez, married with Mrs. Juana Diaz, ten children, all arms and two horses. Juan Bautista is the son of Tomas Sanchez and Josepha de la Garza. I have yet to find the parents of Juana Maria Diaz. Moises, maybe this is Juana Diaz Treviño. Baptism. 8 jul 1716. Sagrario Metropolitano de Monterrey. 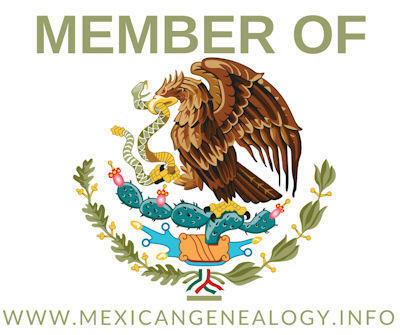 “México, Nuevo León, registros parroquiales, 1667-1981,” database with images, FamilySearch (https://familysearch.org/ark:/61903/3:1:9Q97-YS29-Q3B?cc=1473204&wc=3PM2-SP6%3A45389701%2C45389702%2C45389703 : 21 May 2014), Monterrey > Catedral > Bautismos 1668-1731 > image 360 of 551; Parroquias de la Iglesia Católica, Nuevo León (Catholic Church parishes, Nuevo León). “México, Nuevo León, registros parroquiales, 1667-1981,” database with images, FamilySearch (https://familysearch.org/ark:/61903/3:1:9Q97-YS2H-Q7?cc=1473204&wc=3PML-VZS%3A45389701%2C45389702%2C46695301 : 21 May 2014), Monterrey > Catedral > Matrimonios 1667-1800 > image 203 of 732; Parroquias de la Iglesia Católica, Nuevo León (Catholic Church parishes, Nuevo León). I am a descendent of Maria Maxima Trevino married to Joseph Francisco Garcia. Maria Maxima was a granddaughter of Juan Bautista Sanchez through her mother married to a Canales. I don’t have them in my database but yet I have to do more research on this family. Mr. Garza please keep me posted. I am very interested.Iam related to all founding families it seems!